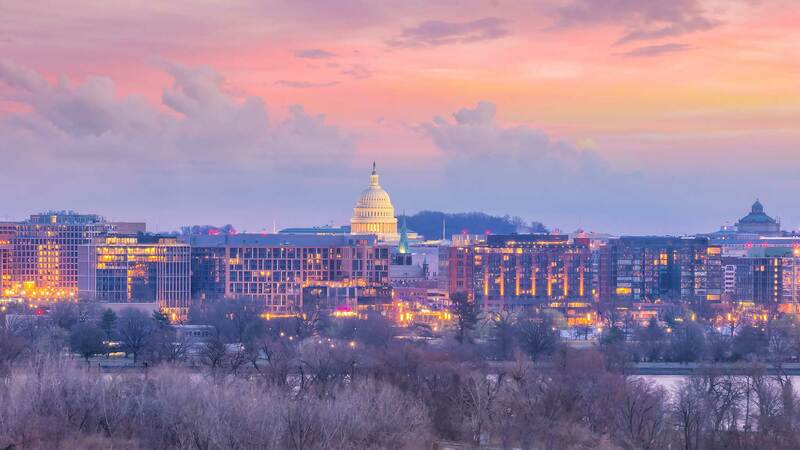 Comstock has been active in the Washington, DC region since 1985 and has developed, acquired, and managed thousands of residential units and millions of square feet of mixed-use properties, throughout the region. Comstock has been selected by multiple local governments (Fairfax County, Loudoun County, and Town of Herndon) to develop and manage large-scale, mixed-use, and transit facility developments in public-private partnerships. Local jurisdictions are focused on public-private partnerships as a means of leveraging private sector capabilities to meet public infrastructure development needs. Significant growth in demand for cyber security and other technology services in the government sector, as well as in the private sector. Not only has this generated tremendous growth opportunities for tech companies but has also generated numerous start-ups, and is attracting big tech to the region. Northern Virginia’s data center market, primarily the Dulles Corridor, has seen tremendous growth and has become the global leader in data center space while accounting for more than 40% of national data center absorption in recent years. The diverse and well educated employment base in the Washington, DC region, coupled with proximity to the federal government and the presence of well-established government contractors, is contributing to the attractiveness of the region to tech companies. Phase I of Metro’s Silver Line opened in 2014, connecting Tysons Corner and Reston to Arlington and downtown Washington, DC. Phase II is scheduled to open in early 2020 and will extend service from the terminus of Phase I at Comstock’s Reston Station property to Herndon, Dulles International Airport, and Loudoun County, terminating at Comstock’s Loudoun Station property. Recent changes to Comprehensive Land Use Plans of Fairfax County and Loudoun County encourage high density and mixed-use development proximate to the new Silver Line Metro Stations. Commercial tenants are increasingly seeking to locate (or relocate) offices to Metro Accessible sites. Demonstrated by their willingness to pay premium rents for commercial space in order to have prime proximity to Metro in urban, mixed-use developments, has become a key recruiting tool. Comstock has been focused on these emerging trends for more than a decade, and has amassed a portfolio that is at the forefront of the urban transformation taking place in the Dulles Corridor. This has become one of the most compelling real estate markets in America. With a stabilized portfolio and development pipeline that includes millions of square feet of mixed-use and transit-oriented properties located at key Metro stations in the Dulles Corridor, Comstock is creating value for all stakeholders through development, asset management, and real estate services.